Owing to our vast industrial knowledge and experience, we manufacture, supply, trade, export, distribute and wholesalePlastic Tags. 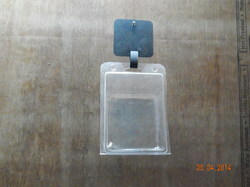 Having superb quality, these brand hanging tags are extremely versatile. Our range is available in various color shades, designs, sheet sizes and layouts to meet the exact requirements of the clients. The labels that we offer are at par with industry standards and are reckoned for their durability & utility. 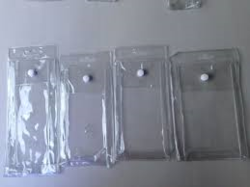 We are the leading manufacturer and supplier of PVC Pen Pouch for Packaging Industry. Also, the range is famous for its durability, tear resistance and light weight. Furthermore, these are completely safe form breakage as is the case with plastic boxes and hence last longer than normal plastic boxes. Looking for PVC Pen Pouch for Packaging Industry ?